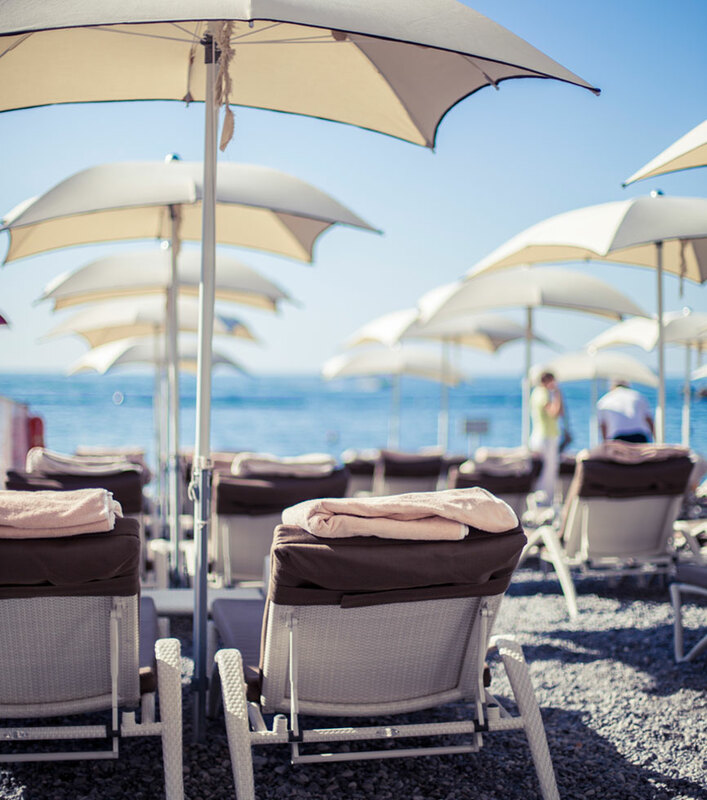 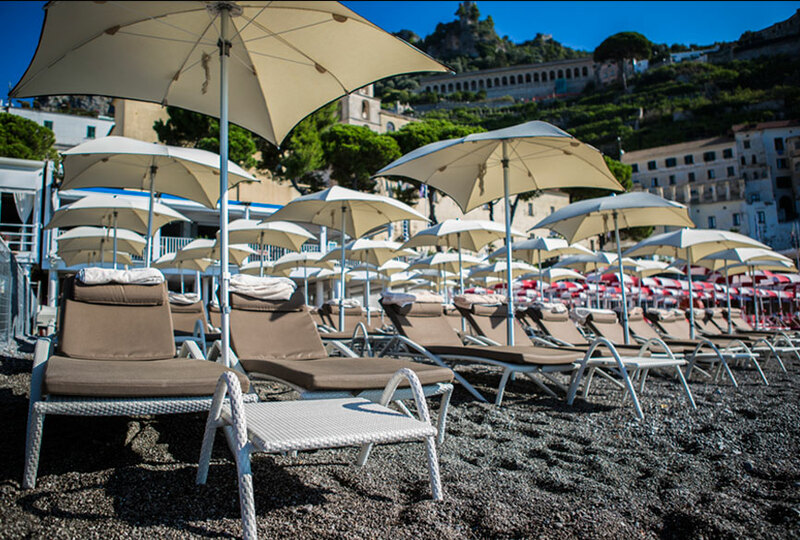 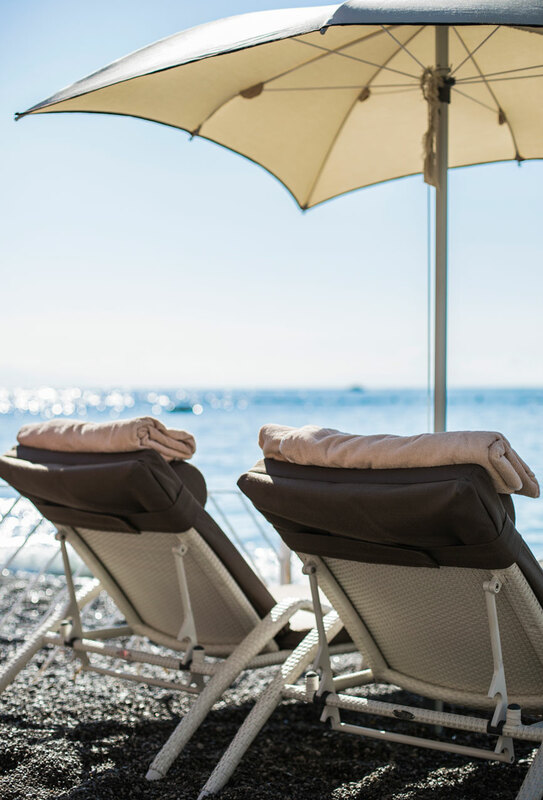 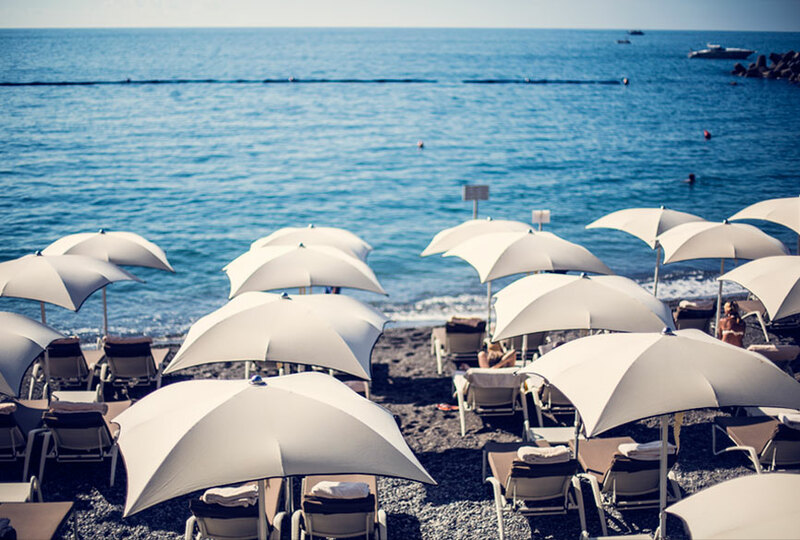 This modern and elegant lounge beach club is located in the heart of Amalfi, chic and comfortable, with an inviting design and layout. 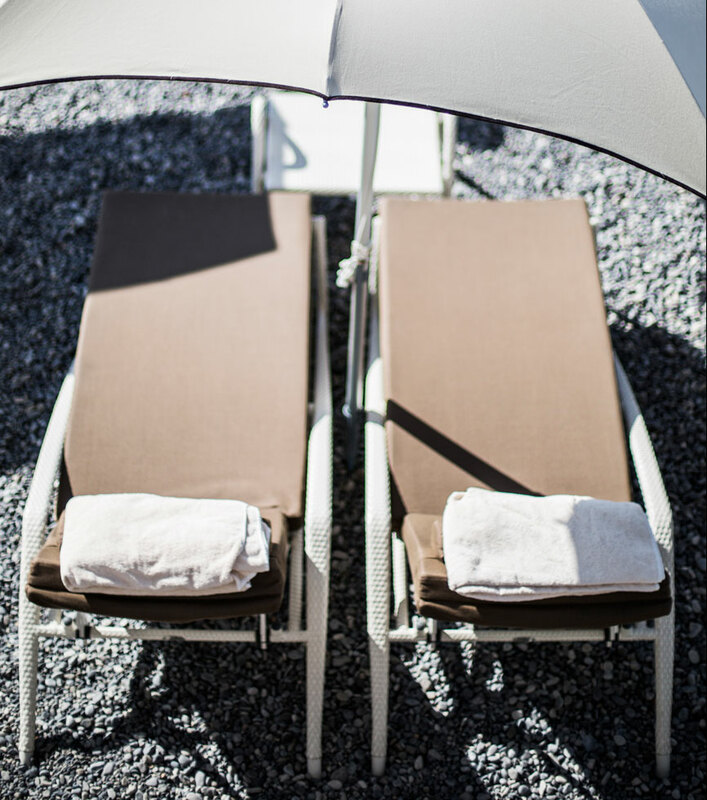 The furnishings are beauty with practicality. 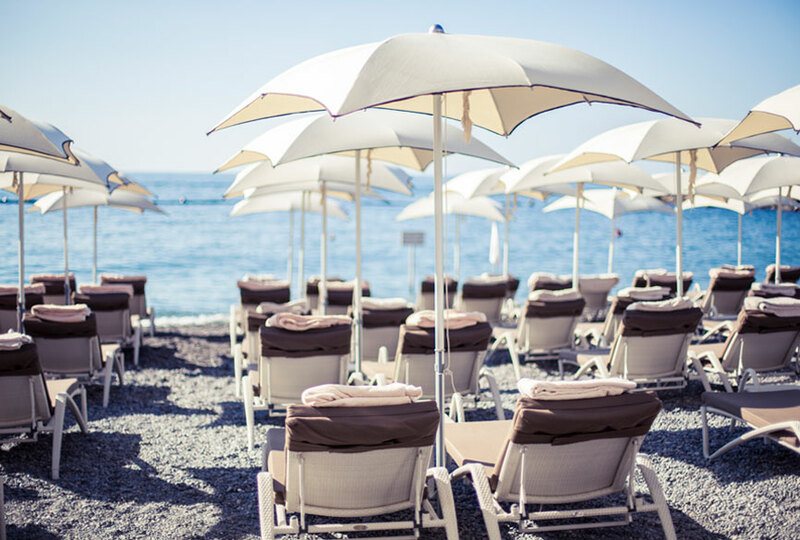 The beach staff provide high quality service aimed at ensuring a relaxing time. 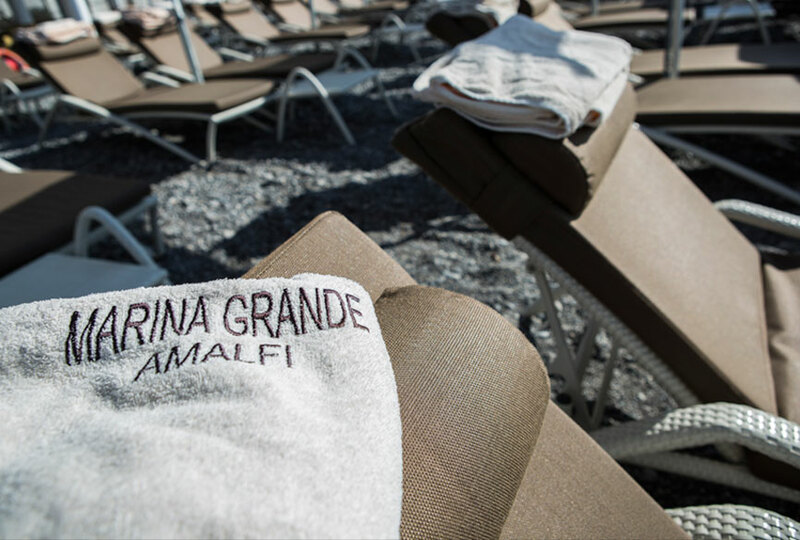 There is a full bar with a variety of snacks and the restaurant can provide Mediterranean and seafood plates, completing Marina Grande’s cozy and hospitable service directly on the Amalfi Coast.